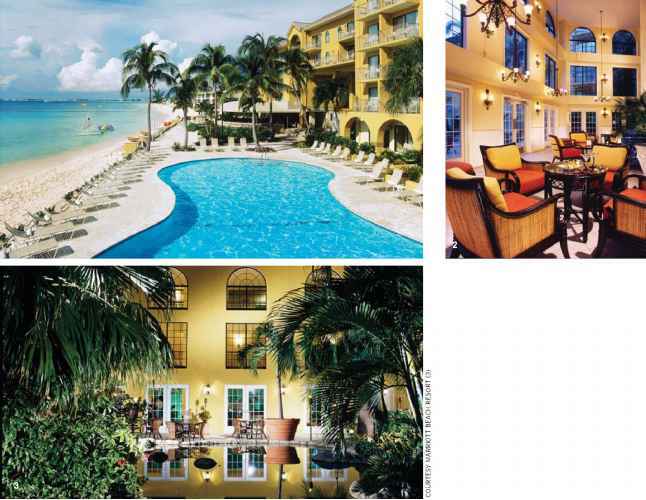 Everything you need for a fantastic holiday is at the Grand Cayman Marriott Beach Resort. The Cayman Islands are renowned for a luxurious lifestyle, and when you go to Grand Cayman for the spectacular diving, you can live the good life. The Grand Cayman Marriott Beach Resort embodies the Cayman experience — from the contemporary design reflecting the emerald greens and cool blues of the Caribbean and the warm yellows and oranges of Cayman's sunshine, to the friendly Caymanian spirit of its associates and the outstanding service that Marriott is famous for. 2. Balboa's Lounge overlooks a tropical courtyard 3. Courtyard at night who will be happy to chat. Red Sail Sports, located in the resort, is the Marriott's partner for everything water sports. 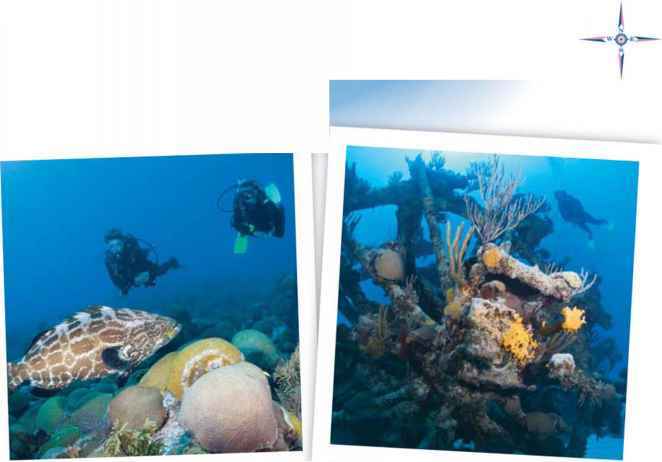 With seven dive boats available for you to explore most of the spectacular dive spots around the island, you will experience the best of Cayman. You can also take advantage of the other water-related activities the company offers, such as kayaking, parasailing and snorkeling. Additional activities include glass-bottom boats, catamaran fun sails and children's beach parties. Hobie Waves, Sunfish, Aquatrikes and personal watercraft are also available. Accommodations: 305 newly remodeled rooms, including 22 oceanfront suites, 90 double-bed and 210 king-bed rooms, 300-thread-count cotton sheets, triple sheeting, individually controlled digital air conditioning, wireless high-speed Internet access, cable TV, mini-refrigerator, coffee maker, bathrobes, hair dryer, marble bathroom and private balcony. Amenities: PADI Gold Palm resort, seven dive boats, nitrox, pool, restaurants, beach bar, recreation center, glass-bottom tours, Le Mer Spa, and complimentary parking.